After reporting strong first-half results, Senaat – the industrial holiday company of the Abu Dhabi government – plans to further invest in the UAE’s industrial sector. On July 31, Senaat posted a 20% year-on-year rise in net profit to Dh453 million. The earnings before taxes, interest, depreciation and amortization surpassed Dh1 billion for the first time. The company plans to reinvest these profits to continue developing its portfolio companies and form new projects. Senaat’s entire portfolio totals Dh26.8 billion, including investments of over Dh18bn during the past decade. The company has full or partial ownership in six businesses – National Petroleum Construction Company, Emirates Steel, Arkan Building Materials, Al Foah, Agthia and Ducab – and is developing two companies, Al Gharbia Pipe Company and Taweelah Aluminium Extrusion Company. In March, Senaat said it would invest Dh5bn in the country’s industrial sector over the next two years. According to Senaat Chairman Hussain al Nowais, Senaat will continue to fund its investments using its profits and the prudent use of debt. Al Nowais said Senaat has several investment plans and strategic projects being developed that will help with the diversification of Abu Dhabi’s industrial base and increase the prominence of the non-oil industry sector in the country’s GDP. Oil and gas contribute to 30% of the UAE’s economy, and the country is working toward diversifying its economy from oil and gas. In terms of its GDP contribution, the county’s industrial sector is half the size of gas and oil. 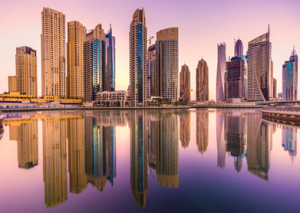 The UAE government expects to grow the size of its industrial sector over the next five years by five percentage points. In April, Ministry of Economy Undersecretary Abdullah Al Saleh said the UAE hopes to reduce the oil and gas sector’s contribution to the GDP by diversifying and developing other important and increasing their contribution to the GDP, including the services sector and industrial sector.